Omnibus-Trading - was founded in 1995 by Guus Verachtert, who was also instrumental in laying the foundations of many other Dutch minibus builders. 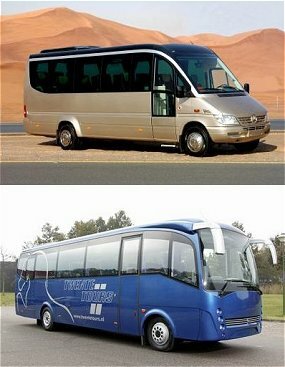 Through its participation in other coach/bus builders, Omnibus-Trading is able to offer a wide variety of new mini and midi buses with seating for 13 to 40 passengers on Ford, Mercedes-Benz and MAN chassis. Unlike many other suppliers who use van chassis, Omnibus-Trading offers high quality and modern looking minicoaches, based on paravan and original coach chassis. A comprehensive overview of the mini and midicoach range, which Omnibus-Trading offers for the European market can be seen. These products do not just meet current European certification demands, but also anticipate future directives. This is why Omnibus-Trading leads the field with regards to safety, quality and innovation. As a professional minicoach specialist, Omnibus-Trading offers its products in many versions, from a semi-luxury minibus to a state-of-the-art minicoach meeting the highest demands.